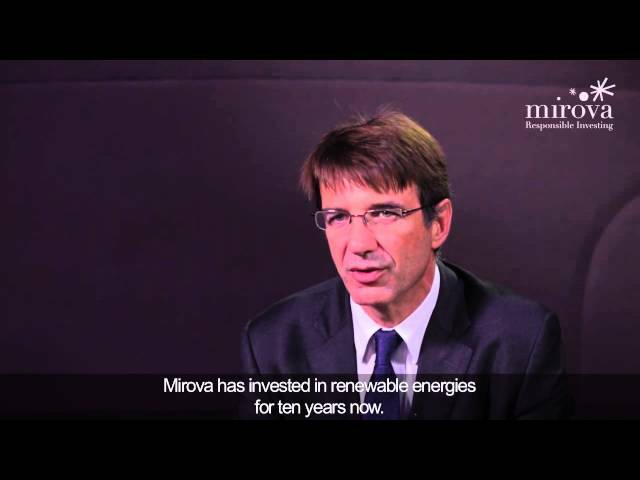 Mirova is launching the mutual fund Mirova Green Bond - Global, one of the first funds in the world for green bonds. Through this fund, Mirova is asserting its pioneering position on the Green Bond market and offering a funding solution for projects with a high environmental impact, while benefitting from the performance potential of global bonds. Why invest in Green Bonds? Green Bonds have a unique place in the bond market. By ensuring transparency on the destination of the funds raised, these bonds meet the considerable investment requirements for a successful energy transition, whether in energy-efficient projects or low-carbon energies. The Green Bonds market has grown significantly over the past few years: total annual issuance rose from $5 billion in 2011 to $40 billion in 2014. Moreover, the universe has diversified in terms of issuers and ratings, geographies, sectors and types of projects financed. A pioneer on the Green Bond market, Mirova participated in the first issuance of green bonds in 2012, then became involved in industry bodies looking to help steer the market, in close cooperation with the SRI Research Team of Natixis. Mirova Green Bond – Global implements active conviction management, with security selection as the primary driver of performance. The approach combines financial and extra-financial views: specific analysis of each project financed, ESG analysis of the issuer, and fundamental analysis to determine the bond's financial attraction. Mirova Green Bond – Global is managed by Christopher Wigley, who is backed by Mirova's responsible investment research team (11 analysts). Christopher Wigley, manager, Mirova Green Bond - Global: "By financing tangible assets, green bonds meet direct and concrete needs: issuers can diversify their investor base, and investors can actively participate in financing the energy transition. Due to a rigorous analysis of the financial and extra-financial aspects of each security, Mirova Green Bond-Global seeks to offer investors a diversified portfolio with an attractive yield."